Capacity: 35, 50, 75, 100 & 150 MT storage capacity. - Length up to 12 Metres. INTRA Group has expertise in design and manufacturing Industrial Silos and Storage tanks used in AAC Blocks Manufacturing, Fiber Cement Board Manufacturing industries. 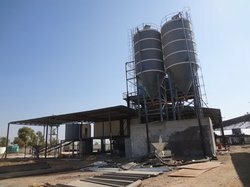 We are leading suppliers of Cement Silo. We are Leading Manufacture and Supplier of the Storage Silo. 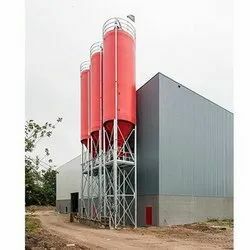 Cement & Fly Ash Silo System. - Compressor - Air Pressure Feeding System. We are leading manufacturer and exporter of Cement Storage Silo.